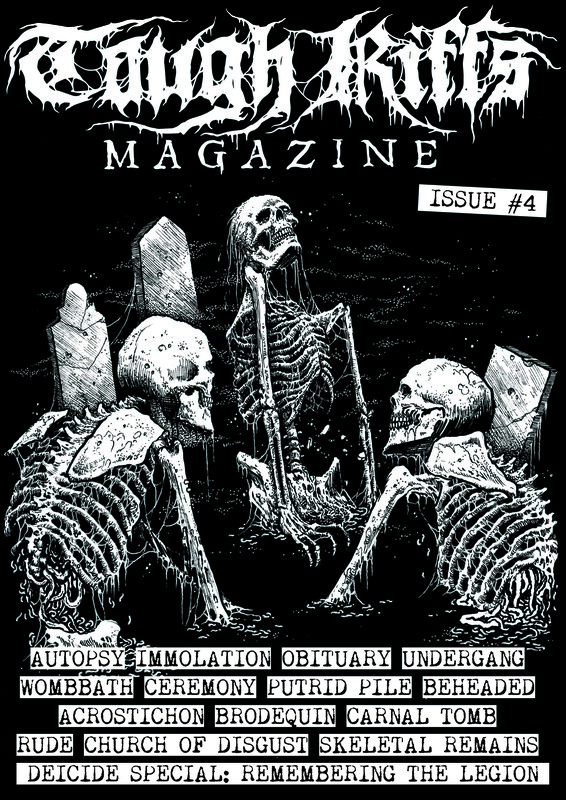 TOUGH RIFFS MAGAZINE from France presents it’s FOURTH issue just a few months after the release of issue three so you people out there got something to read during your summer holidays! Cover design drawn by Mark Riddick, black & white retro style design, including numerous interviews with bands like OBITUARY, WOMBBATH, DEICIDE, PUTRID PILE, ACROSTICHON, IMMOLATION, UNDERGANG, AUTOPSY and more on 52 A4 sized perfectly bound b/w pages! Don’t miss it!! !